There are many things that overwhelms us. Our debts and financial difficulties hover on us on a daily basis. Especially among trauma victims, disasters unsettle us. The uncertainty of our future makes us insecure. Our illnesses limit and causes us pain. There are many others that bullies our lives that we believe that we will never overcome them. Or we will never be totally happy and at peace as long as they dominate us. These are the giants in our lives; the Goliaths that we have to face. We all know what it means to be discouraged. Before the battle, the evil spirit will do all within its power for us to lose heart. To the bad spirit, we are to be defeated even before the duel. To think that we can’t make it before the exam. To be haunted by our humble beginnings before mingling with the who’s who of society. To think that we have less abilities in a talent contest. 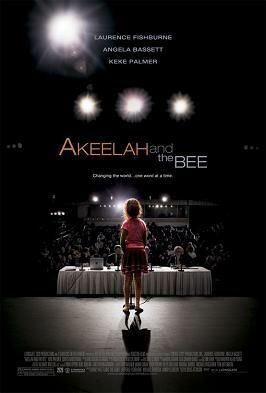 There is a movie on cable called “Akeelah and the Bee” written and directed by Doug Atchison. It tells the story of Akeelah Anderson (Keke Palmer), a black 11-year old girl who participates in the Scripps National Spelling Bee. She enrolls in Crenshaw Middle School where she doesn’t quite fit in with the students, but she never commits a mistake in spelling tests. She wins at a spelling contest in her school, that catapults her to compete at the nationals. But it isn’t easy for Akeelah to reach that level. She has to convince her mother (Angela Bassett) to allow her. Her mother doesn’t want her to join because she doesn’t want Akeelah to be one of the losers. Moreover, she asks the help of Dr. Joshua Larabee (Laurence Fishbourne); but Dr. Larabee turns her down. She has to memorize 5,000 words before the nationals. Eventually, the whole neighborhood contributes to coaching her. At the end of the movie, she and another friend of hers, Dylan Chiu, wins. Akelaah cannot have gotten the prize if she didn’t face the Goliaths that became obstacles to her dream. It is true: to hear words that crush our spirit from our very own families and friends is more hurting than anything else. Furthermore, David answered Saul in the first reading that it would be God who would be the source of his victory. And when he did set his heart on God alone, Goliath fell. But when he focused on the “Goliaths” in his life, he is the one who fails. For example, when he succumbed to his giant lust for Bathsheba, he murders her husband. In other words, we are to face our giants. We have to make a decision to overcome them. We cannot run away from them. We cannot devise ways and means to escape from them. They will always find us. Our maturity is measured by the number of giants we have defeated. Scripture contains the strategy. First, we keep our gaze on God alone, just as David did. Case in point: we are puzzled by the joy poor people have. Many of these simple people come to pray. They will tell you that their faith and trust in God inspire them to continue with their lives and maintain a happy disposition. If they receive more than what they have, they become very, very grateful. On the other hand, take the example of many who are in the corporate echelons of society. In the hustle and bustle of the city, many live empty lives. They battle the giants in high rise buildings, but remain lonely after the battle. No victory can cheer them up. I heard in one meeting that we have to add another deadly sin: the sin of haste. When people rush to and fro, they neglect the people who matter. Caring for their aging parents becomes a burden because they have work to do. Keeping track of their family members becomes a nuisance because they do not have time. For many who let Work, the Giant, dominate and determine their lives, they have eventually lost their relationship with their children. When our lives are focused on these giants, we fail. Second, we should know what we are good at. David was good with sling and stone, not with a bow and arrow. Know your powers. A warrior carries his or her weapons well. So how then do we defeat our giants? Keep your gaze on God and God alone. Then pick up your stones and aim.